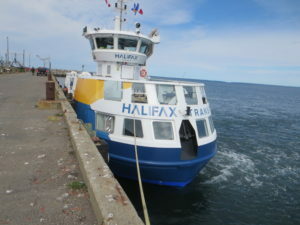 This vessel is designed to have a minimum service life of 30 years. 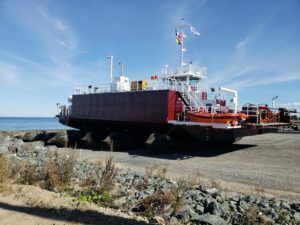 Maintenance and service access was of paramount importance to Jacobsen Pilot Service Inc. and these considerations were maintained during all aspects of the design and construction process. 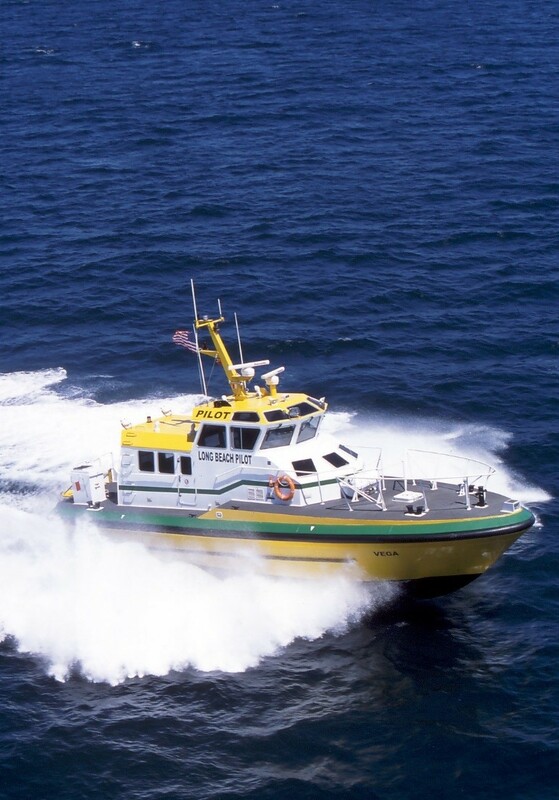 The Vega is powered by two Detroit Diesel / MTU 12V2000 engines rated at 965 bhp @ 2,100 RPM with two DD6557 2:1 reduction ratio gearboxes and has a top speed of 29 knots. 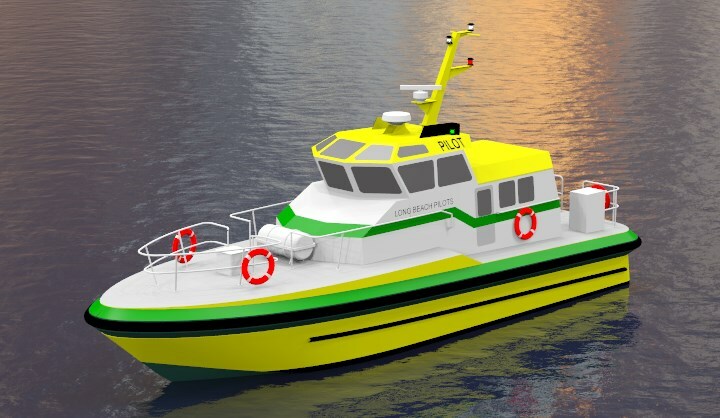 Final design details and engineering were carried out by E.Y.E. 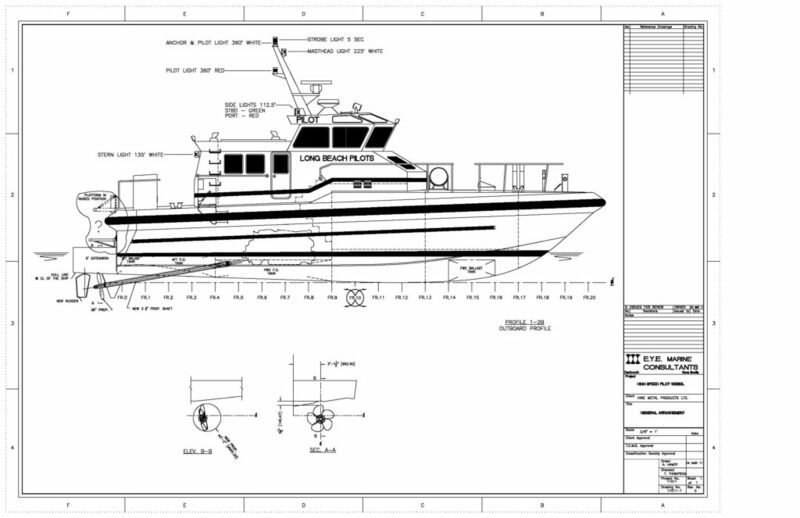 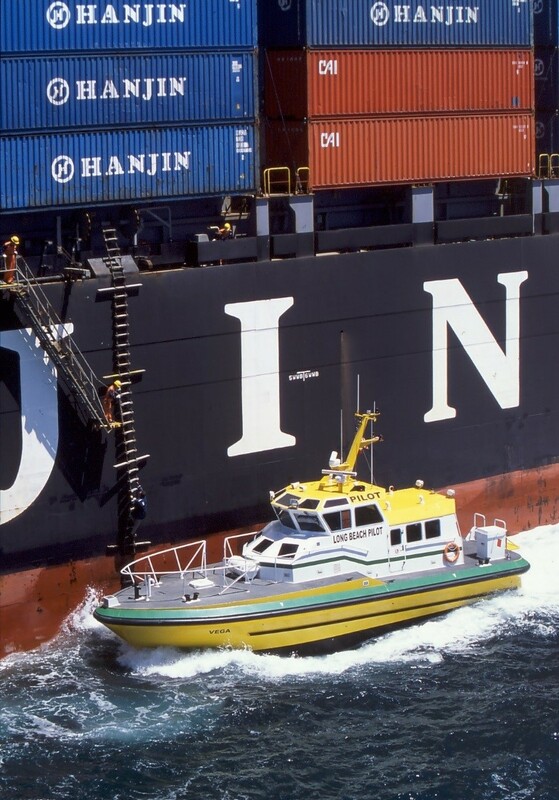 Marine supplying a full set of design drawings for a 54’ 6” pilot boat for Jacobsen Pilot Services Inc., “Long Beach Pilots”, of Long Beach California, including: General Arrangement, Structure drawings and lofting, Rudder and Shafting, Machinery Arrangement, Systems (Bilge, Fuel, Lube Oil, Raw Water, Ventilation, Exhaust, Ballast), Anodes, Fenders, and various other detail drawings. 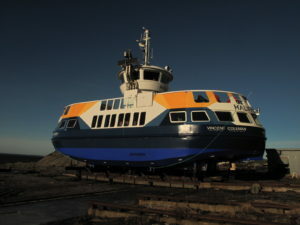 E.Y.E also provided weight estimate, stability check and various other calculations. 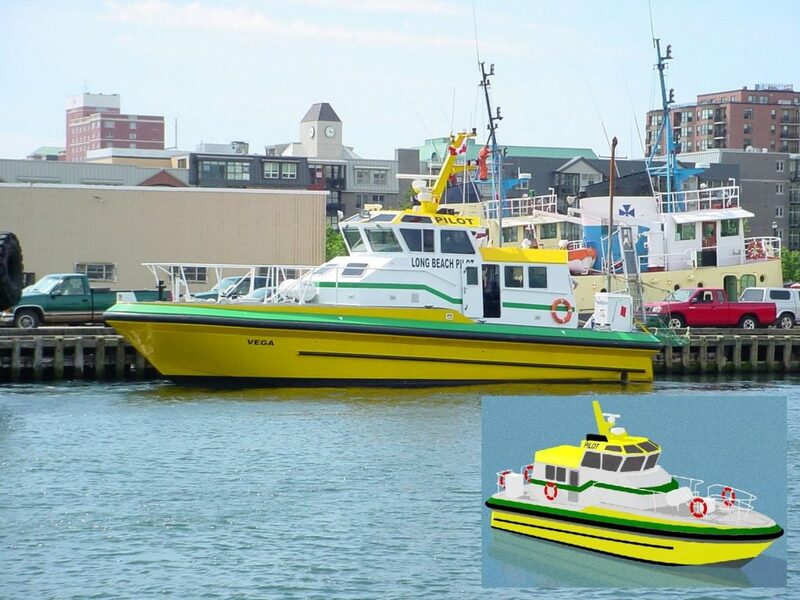 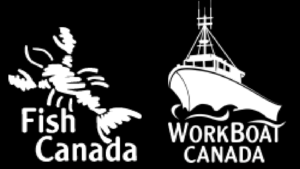 Owner: Jacobsen Pilot Services Inc.
Shipyard: Hike Metal Products Ltd.